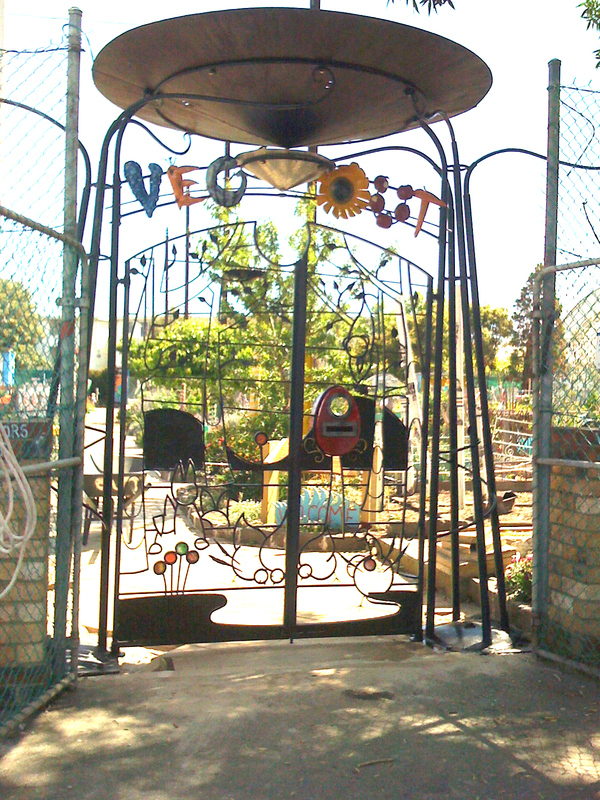 Community and nurturing are the forces creating the Veg Out Gardens in St Kilda. Any walker by will see the unconditional loving care upon which the garden is built. The flotsam and jetsam that create the architectural structure of the garden represent the community the natural environment must endure. The nourishment of the natural environment is sustained by the community. The community is rewarded, thus the cycle is complete. Food plants and herbs, supplied to the passer by, as an extension of the garden’s community spirit is the concept’s ideal. It is a geometrical frame, representing the layout of plots in the garden and the surrounding built environment. The reservoir at the top of the grid is filled with rain water. 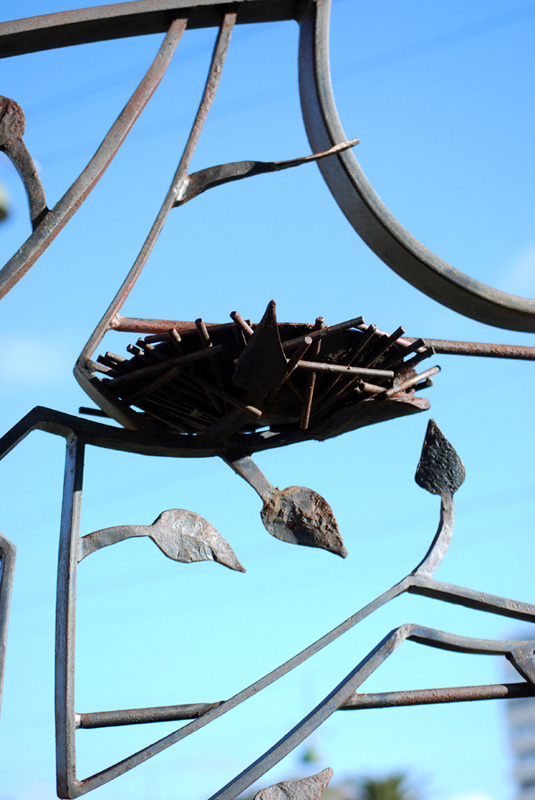 Organic forged elements provide decoration. 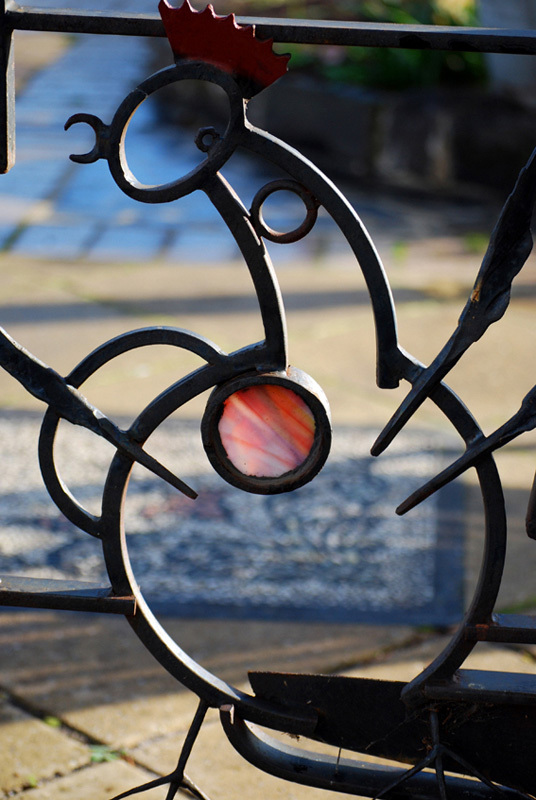 It is intended the gate is a vertical garden itself and would need to be maintained and nurtured. 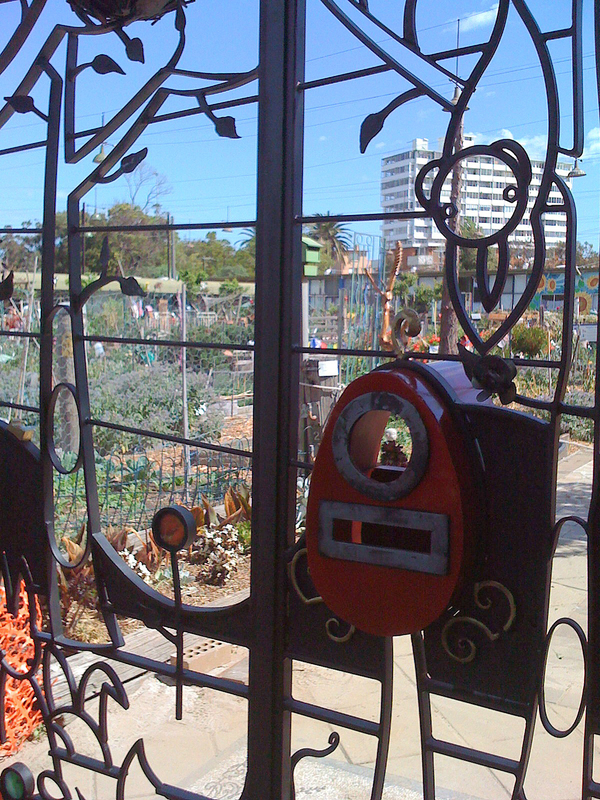 This design incorporates recycled materials and found objects and is constructed to blend with its surrounds.